All handhelds served with choice of fries or seasonal fruit cup. 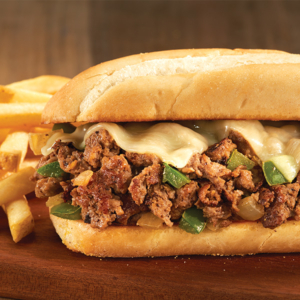 Thinly sliced steak topped with grilled onions, green peppers and melted provolone. Served on a freshly baked hoagie roll. 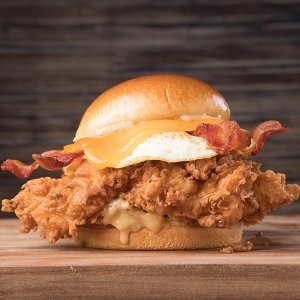 Hand-breaded chicken breast and fried egg topped with bacon, cheddar cheese and maple miso sauce. Served on a grilled brioche bun. Freshly sliced Kosher corned beef, Swiss cheese, sauerkraut and Thousand Island dressing. Served on thick marbled rye bread. 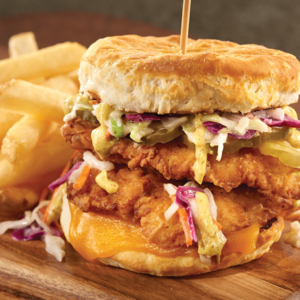 Hand-breaded chicken breast stacked on a buttermilk biscuit and topped with coleslaw, sliced pickles and cheddar cheese with Dijon-mayo spread. 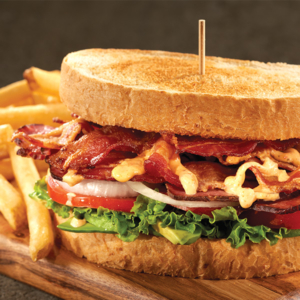 Crispy bacon and pork shoulder bacon piled high on grilled sourdough bread with fresh, smashed avocados, lettuce, tomatoes and spicy mayo. 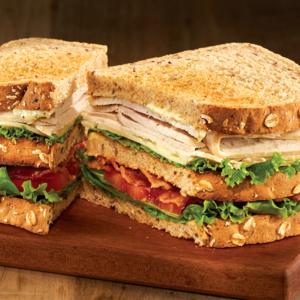 Toasted multi-grain bread with roasted turkey breast, bacon, choice of cheese, lettuce, tomato and ranch mayo. North Atlantic cod, lightly breaded and served on a hoagie roll with lettuce, tomatoes, pickles and your choice of American, cheddar, Swiss or provolone cheese. Served with a side of tartar sauce. Served with choice of fries or seasonal fruit cup. American cheese melted and served on grilled sourdough bread. 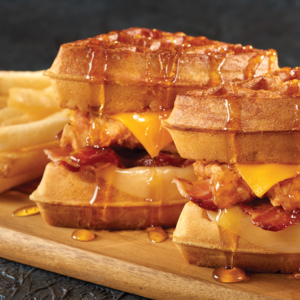 Hand-breaded chicken breast, melted cheddar and Swiss cheese and bacon between two Belgian waffle halves. 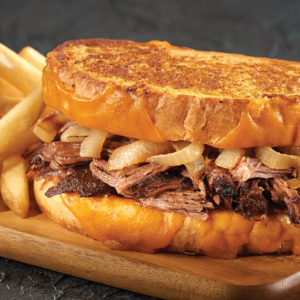 Slow cooked pot roast, cheddar cheese, sautéed onions and Dijon-mayo spread served on grilled sourdough bread. 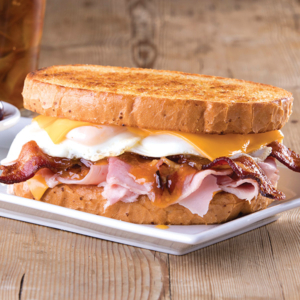 Bacon, ham, two fried eggs, apricot-bacon jam and American cheese between two slices of grilled sourdough bread.